♪ O Jesu mi Dulcissime – by Mariano Garau. 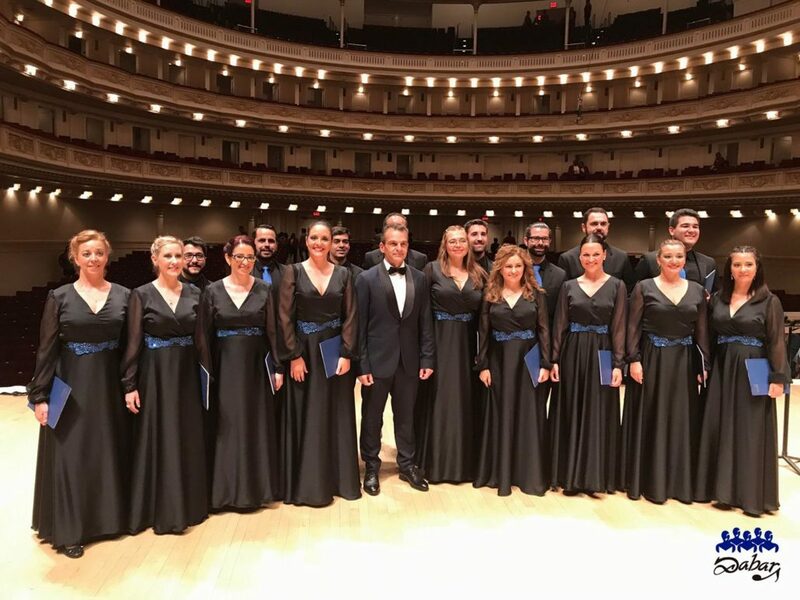 Coro Dabar is a mixed choir who enjoys performing polyphonic music of all times. It consists of 20 singers and was born in a spring day in 2008 from a group of singers of Santa María de la Estrella Church Choir in Coria del Río. Since 2016, Coro Dabar has been working closely with Spanish-Japanese Hasekura Association in Coria del Río, promoting ties between two cultures that have been so distant and so united for more than four hundred years thanks to our ancestors. In 2016 Coro Dabar participated in the Funeral Mass in Coria del Río for the victims of the earthquake and tsunami in Japan 11th March. It was a sad and coincident date with the serious attack at the Atocha train station, Madrid, in 2004. In October of 2016 Coro Dabar gives a voice to the moving posthumous tribute to the honorable Yoko Maeda in front of her cherry tree in Carlos de Mesa Park. Also in the same month of October Coro Dabar organizes a reception and a performance in Coria del Río for Tetsuro Shimaguchi (choreographer of the movie “Kill Bill” and leader of KAMUI) and the singer Mika Kobayashi. In December 2017 Coro Dabar is present in the city of Sendai by means of a video screening to sing for the celebration of a children’s choir concert in which Coro Dabar plays “Hana wa saku”. In 2017 participates in the concert held the 21st of April to commemorate III Hanami in Coria del Río and in which it shares stage and repertoire with Japan Choral Harmony “TOMO”, Escolanía de Tomares and Municipal Music Band of Coria del Río.